(St. Mary's) A warm welcome awaits you at Dundee Parish Church (St. Mary's). 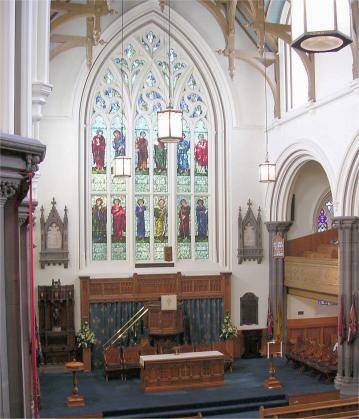 One of Dundee's "city churches" right in the city centre, we invite you to our services, each Sunday at 11.15am to share with us in Christian worship. Our Sunday Services can be heard live on BridgeFM, Dundee's Hospital Radio Service. The Church is open to visitors on Tuesdays, Thursdays and Fridays during June to September from 10 a.m. to 12 noon.